Time to watch and review Morning Musume’s 2011 spring tour ‘Morning Musume Concert Tour 2011 Haru Shin Souseiki Fantasy DX ~9ki Mem wo Mukaete~’! It’s MM’s first tour after Eri, Linlin and Junjun graduated, and the debut tour of 9th ten. It features 5th generation’s Ai and Risa, 6th generation’s Sayumi and Reina, 8th generation’s Aika, and 9th generation’s Mizuki, Erina, Riho and Kanon. This concert tour is one of my favorite MM concert tours, and also one of the first ones I watched. The tour started on April 3rd and ended on June 26th. They open with ‘Maji Desu ka Ska? !’, the kyuukies’ debut single, in the matching outfits. A great choice for opening the concert, as it’s very energetic and upbeat. The seniors sound great as expected. The kyuukies sound pretty good too, since this is a pretty energetic dance, really impressive. After that they perform ‘Fantasy ga Hajimaru’, a song from MM’s 11th album… They’ll be doing a lot of those this concert! This song has Sayumi and Ai in the lead. I can’t tell if Sayumi is actually singing live since her parts sound a bit auto tune-y in this song, but if she is she sounds great! Ai’s vocals are really impressive, especially with her heigh notes at the end of the song. They may not sound exactly as nice as on the CD but she definitely sounds good. Standing out so far is definitely Ai. She looks so incredibly pretty with her platinum blond pixie shortcut, it’s really a great look for her. I think all the members have pretty nice hairstyles in this performance, except Erina… But I can forgive that since’s it’s her first tour! The girls return with a performance of ‘The Manpower! !’, with Ai and Risa in the lead. Their voices really work really well for that sort of lines. The other girls do fine as well. Not a big fan of the outfits though, but I guess it goes with the sort of space theme that they also used in the opening VTR? Also, the big head accessories tradition for Reina continues with a pair of red shiny devil horns! The Kyuukies leave the stage as the sempais perform ‘Onna Gokoro to Nanto Yara’, another 11th album song. To be honest I never was really a big fan of this song, I always thought it was a bit boring. The performance is a bit relaxed, and not that interesting, but they perform it well. They continue with ‘1 Kara 10 Made Aishite Hoshii’, this time the Kyuukies return to the stage as back-up dancers. Not really surprising since it might still be pretty tiring for them. It’s a very cute song I think, and the performance is cute as well. I think it’s a bit pointless to have the Kyuukies as back-up dancers though, they might as well just let them rest a bit more since the dance is not that interesting. The Kyuukies return to singing with their sempais as they perform ‘I’m Lucky Girl’, which is one of those songs that aren’t really outstanding on CD, but are great concert material. They do really well, so far no real solo lines for the Kyuukies since the first song. After that there’s an MC with Gaki, Aika and 9th gen, with some questions about the sempais. Seeing 9th gen when they’re so young is so much fun… They really do grow quick! What follows after the MC is an adorable performance of ‘Suki na Senpai’ by 9th gen. They’re all still so young! Eripon used to be one of those awkward smilers, and even though she quickly improved you can see it in the performance. She still does it very cutely though! Her singing isn’t great, but it’s not terrible either. Mizuki hasn’t changed much singing-wise, and doesn’t have much stage presence, but she does well. Zukki smiles non-stop, something that looks really genuine! Her singing also sounds pretty good for someone who hasn’t been in the business before. She really is super cute on stage. Riho really had her performance pokerface from the beginning, and I actually like her voice her more than her current singing. She sounds less strained and more natural in this performance. The seniors return and the Kyuukies leave stage. The sempais do a great performance of ‘Resonant Blue’, I always love that song live! Still the shiny costumes though, will we get some different ones soon, please?? Ah, not yet. The Kyuukies return and they do a performance of ‘Onna to Otoko no Lullaby Game’, probably my favorite platinum era A-side. The lines of the graduated members didn’t go to any of the 9th gen members, even though they probably could have handled such short lines. Otherwise a great performance! Finally, a MC! Costume change time! This MC has Sayumi and Reina doing a talking segment. They must be pretty tired at this point, but they’re still entertaining. Next on stage are Aika, Mizuki and Kanon in some sparkly and pretty costumes (finally!). They perform ‘Sungoi no Birthday’, which had originally Aika, Linlin and Junjun in the lead. It’s a really cute performance! The choice of members, song and costumes are a perfect match! Mizuki and Aika both have a lot more stage presence here, and Zukki is just being her cheerful super smiley self! Aika is pretty cute in this performance, but I’m still not a big fan of hers. She looks rather static compared to Mizuki and Kanon who both look very energetic making it more fun to watch. 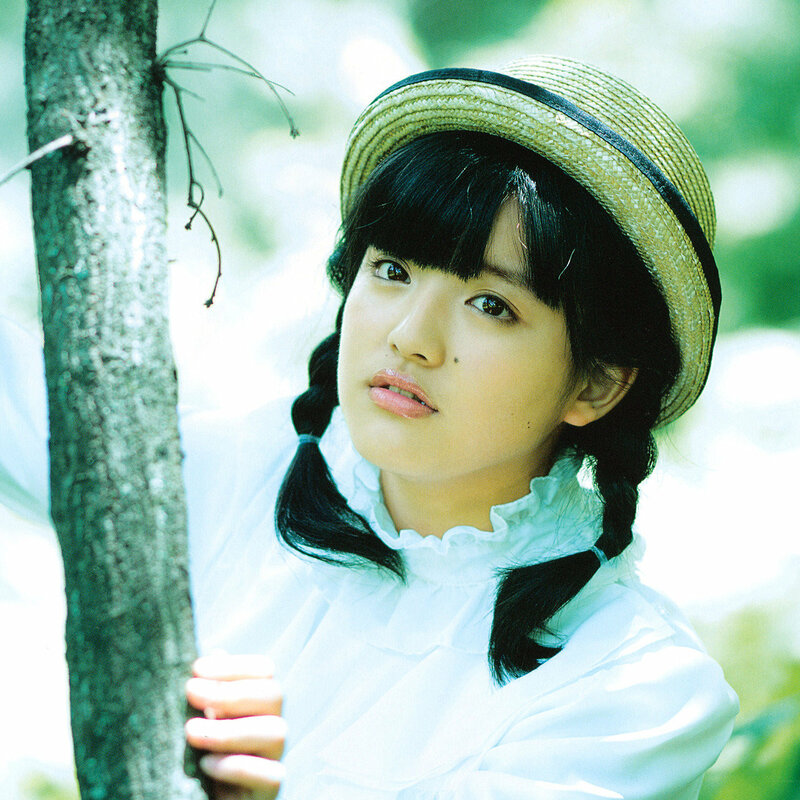 Following is Sayumi with a short medley of ‘Namida ga Tomaranai Houkago’ and ‘Tsuugaku Ressha’. It makes me wonder why they give her a medley, even though her singing isn’t that good. Even so, she does pretty well I think. The songs fit her voice and even though she doesn’t sound perfect she pulls it off well. The songs give a dreamy calming effect. The medley goes over into ‘Rainbow Pink’ and Erina appears on stage with Sayumi. This was the good old time in which Erina and not Mizuki was paired up with Sayumi for these kind of duo things. Although I did like the song before, I have never been a big fan of Koharu… So the change-up with Erina is a nice change! Neither girls are strong singers, but it works for this song. They look rather cute together! The performance that follows is probably the strongest one (and my favorite) in this concert. They picked the best dancers, Ai, Risa and Riho to perform ‘Moonlight Night ~Tsukiyo no Ban da yo~’, one of my favorite MM songs! It’s a shortened and remixed version with an updated and more complex dance. These three are really great dancers, and it all just fits so well together. The only minus I’d say is Riho’s singing, she just sort of shouts her lines, but since the performance is otherwise so awesome I can pretend not to hear it. I especially love their small solo dance parts, especially Gaki looks like she’s having a lot of fun. Not sure what to think of the dance break though, it’s fine for Ai and Gaki, but Riho is like 12 here? A little too much. Still loving the outfits a lot. Next up is Reina performing her solo song ‘Ai no Honoo’ from MM’s 11th album. I think this was the last Fantasy Juuichi song left. She does a good performance and never makes any mistakes. Yet the performance isn’t outstanding, but it is good, and she looks super cute. After that Ai and Riho appear in new outfits to talk about some things together. Back then already Riho was pretty much the favorite it seems! They perform ‘Motto Aishite Hoshii no’. These are some seriously hideous outfits… Orange jacket + Fluffy pink/white-ish skirt + Black gloves & boots = a very very horrible fashion choice. Good performance though, the seniors really stand out with their more expressive performance (well, except Aika). After that follows a medley of ‘Onna ga Medatte Naze Ikenai’, ‘Nanchatte Renai’ and ‘Kimagure Princess’. This medley has a very obvious Ai + Reina lead with all the platinum era songs. Some of my favorite songs, even though I would have loved to hear some other members besides Ai and Reina, but oh well. Hoping they’ll switch out of these costumes though, every time I look at these they seem to get worse (Just why the skirt?!). The members take a moment to breathe and start up with another medley. Thank goodness they lost the horrible fluffy skirts, this improves the outfits a lot! This time with ‘Love Machine’, ‘Ikimasshoi!’ and ‘Renai Revolution 21’. In Love Machine 9th gen (and basically everyone but Ai and Reina) finally has something to do, Kanon already does her cute ‘Janai? !’, I didn’t realize she got that line so early! Everyone definitely gets more lively during this song! I don’t think I have ever really seen another live performance of Ikimasshoi before, but this one is great! They follow with a lively performance of Renai Revolution 21. This medley was definitely more interesting to watch than the former one, much better song-choices performance-wise! They take another break before performing their last song ‘Namidacchi’. Although I thought it was a pretty weird song-choice at first since I associate this song with graduations and well, Eri, Linlin and Junjun’s graduation. But while the members look pretty tired and sweaty they do a very lively performance, it’s definitely one of those songs that brings out a lot of emotion. Good song-choice to end the concert with. They reveal their, at that time, upcoming single ‘Only You’. Although I do love the song, at that time I had a big issue with it like a lot of people, the sudden solo lines of Riho, making it the end of any 9th gen solo lines, a real missed opportunity. She sounds pretty okay in this performance though. The star of this song is Gaki though, her solo parts are so addictive! After that there’s a short MC with all the members, and then they perform their second last song ‘Bravo!’ (realized their missing yet another one) , forgot about that Fantasy Juuichi song… Oops. It’s a real nice last performance, one of those songs perfect for performances like these! Thoughts: A great concert I think, with a mostly great setlist. I love the Fantasy Juuichi songs, and there’s plenty of other great songs! Although I think putting songs like Love Machine and Renai Revolution 21 in a medley is a real shame since they could have been done in full, in exchange for some less interesting songs. My favorite part of the concert was from the performances of ‘Sungoi no Birthday’ to ‘Moonlight Night ~Tsukiyo no Ban da yo~’, these were some really great performances I think. I also loved 9th gen’s ‘Suki na Senpai’, it is so adorable! The members that got most attention were obviously Ai, Reina and Sayumi. Especially Ai and Reina got most solo lines, which is great for them since they’re great performers. But after so many songs it just gets old, no matter how good they are. I think 9th gen really could have used a little more attention, even though at this point they weren’t great performers, it would have been great to have seen them a little bit more. Costume-wise there wasn’t so much this concert. I really wish they would have used the costumes of the promotion material, other that that the only costumes I really liked were the glittery ones with their member colors, which I thought were really pretty. The other ones, I didn’t like so much. Overall a great concert to see, although there’s some small things that I would have done differently.